With their bright yellow faces tracking the sun all day you can’t deny how cheerful Sunflowers are. Sunflowers are one of the easiest plants to grow and don’t need that much space. They only really require height. So you can grow these in pots on a small patio, a mini balcony, or even out on your doorstep if its sunny enough. 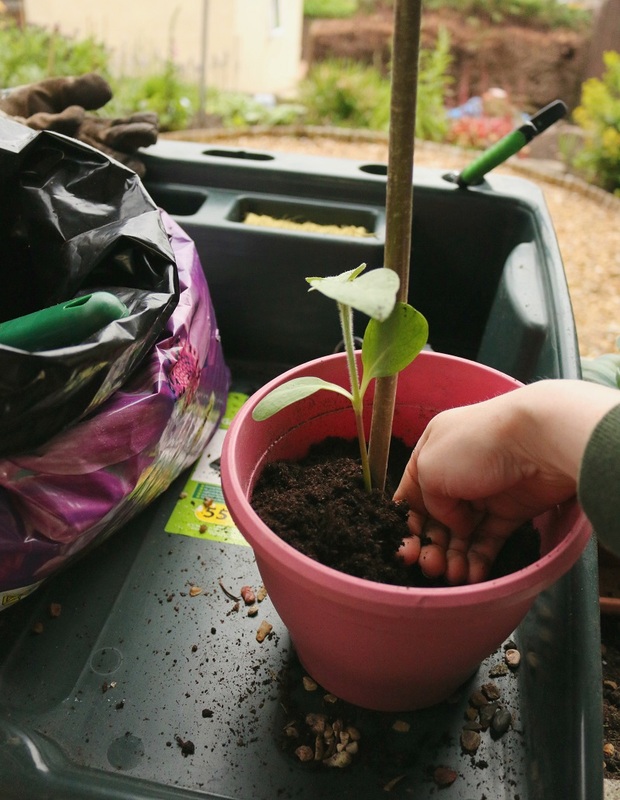 Sunflowers are also a great plant to get kids involved in gardening. 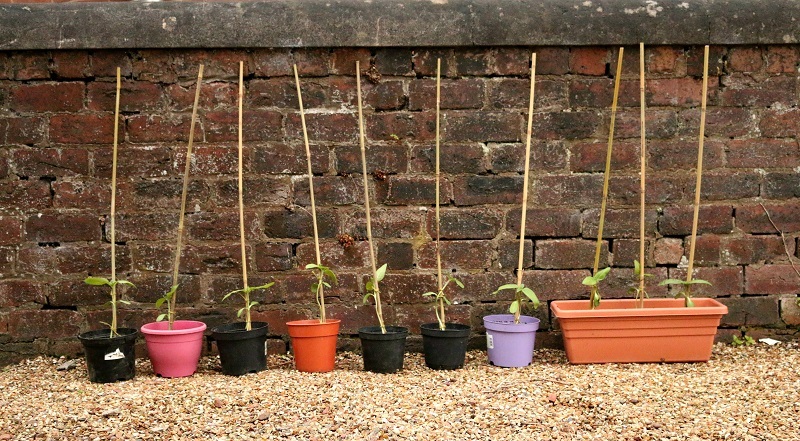 Grow a bunch of them and get the kids to compete in a Sunflower race this summer to see whose grows the tallest. And when they’ve finished flowering, harvest the sunflower seeds for next year. Or leave them as bird food. 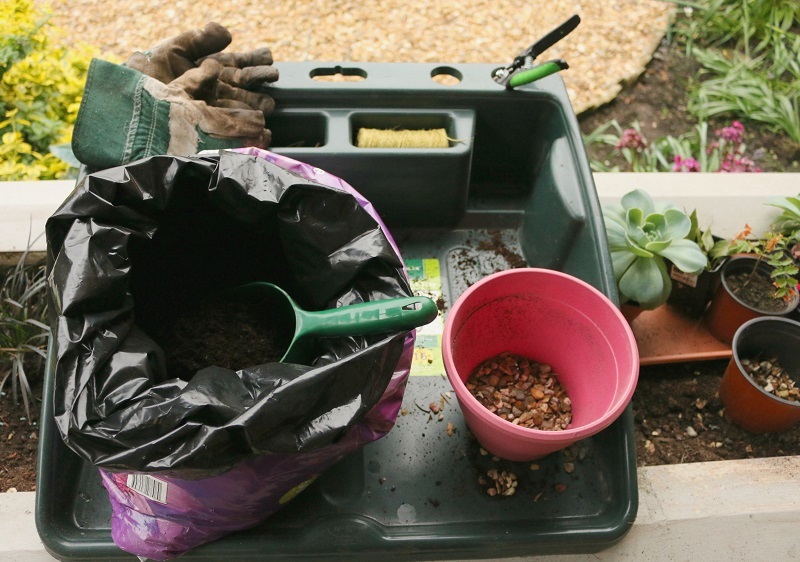 Start by filling small pots with compost until they’re about 2/3 full. Then push 2 sunflower seeds into the soil of each pot with the pointed end sticking up. 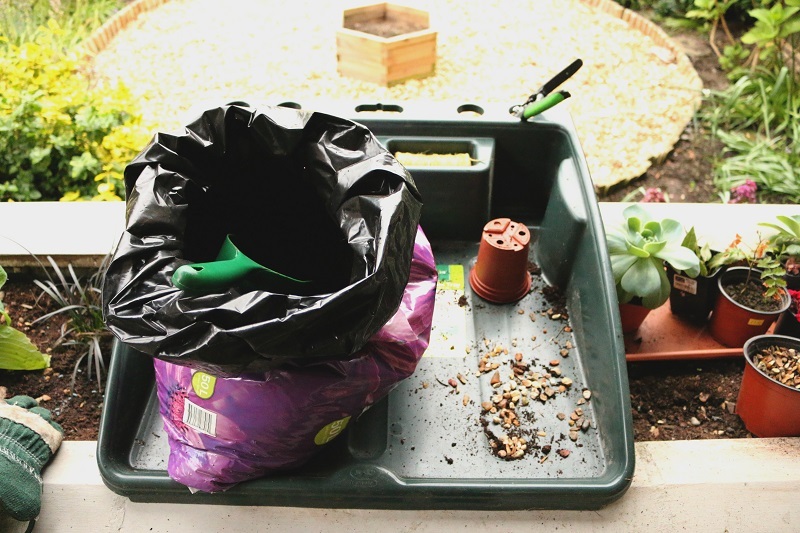 Cover the seeds with more compost until the pot is full. Press down on the soil firmly to remove any air pockets and water each pot. Place the pots into a large clear container and cover with cling film. This will act as a mini greenhouse for the seeds to germinate. Place the box someplace warm and ideally sunny for the seeds to germinate. It will take approx. 1 week before any signs of sprouting occurs. Once the seedlings have sprouted, and there are 2 good leaves to each seedling, and you can see white roots coming out of the bottom of the pot, you’re ready to re-pot. Count how many good seedlings you have (each pot may not necessarily produce 2 good seedlings) to determine how many larger pots you need. Spread some gravel into the bottom of each large pot, this will ensure good drainage, then fill the pot with compost until it’s 1/2 full. Make a small well in the middle of the compost and press a bamboo cane or stick) into the pot. Turn the seedling pot upside down and gently squeeze the pot to release the seedlings. Gently brush off any excess compost. Then carefully place one seedling into each larger pot, fill the pot with compost and firm down. Using gardeners twine gently tie the seedling to the cane. As the sunflower grows, tie in more support but be careful not to tie too tightly or it will cut into the stalk. Give the pots a good watering and place in a sunny spot outside from May onwards when there is no risk of frost. If you pot them up before May then keep them indoors on a sunny windowsill until they can be moved outside. 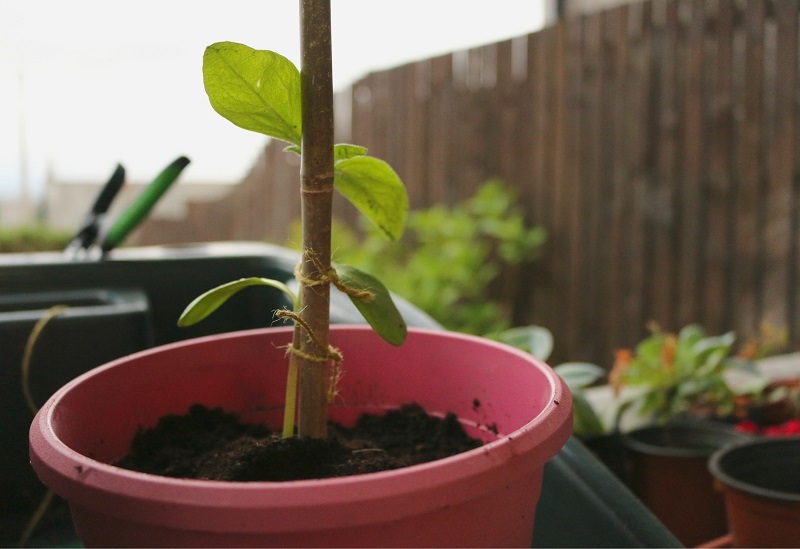 Water the Sunflowers every 2-3 days or if the soil feels dry, and feed with an organic fertiliser. They should last until around September. You can sow the sunflower seedlings directly into the ground. If so, then hold off until May when there is less risk of frost, and prepare to cover them with a plastic cloche (although a plastic bottle like this will work just as well) to deter the slugs & snails. 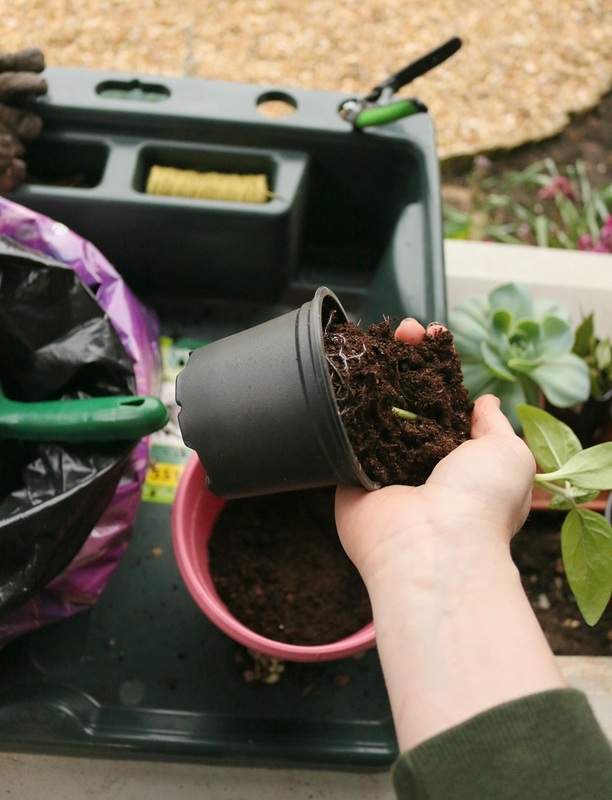 When you are re-potting the seedlings, don’t be tempted to reuse the compost. The seeds will have sucked up all the nutrients from the compost so you will need fresh stuff for re-potting. You can however dig the used compost into the ground rather than throwing it away. 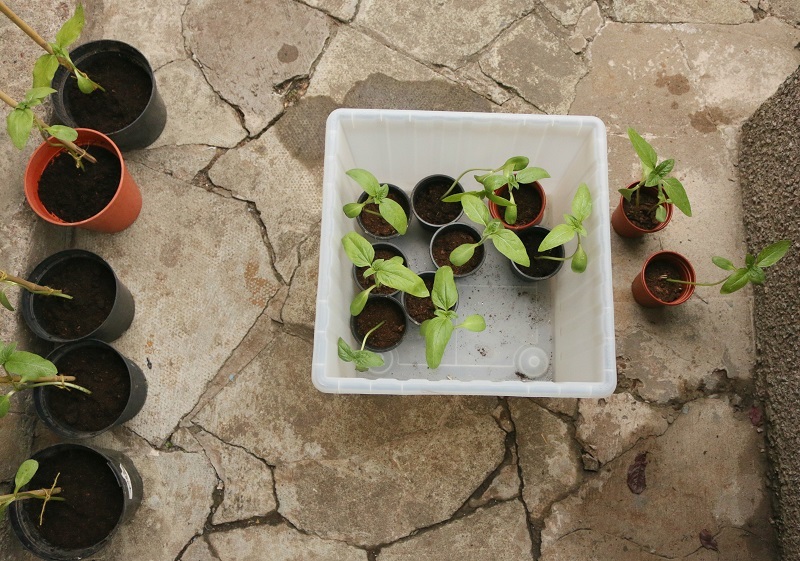 Save money on the small pots by growing seedlings in biodegradable containers made from toilet roll tubes. Click here for instructions.